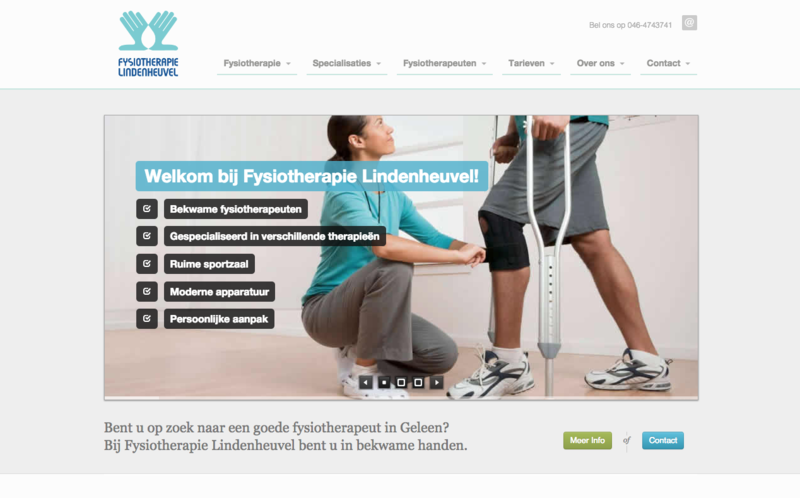 Fysiotherapie Lindenheuvel, situated in Geleen (The Netherlands) has great installations and a very skilled team. But they didn't have a website... until Nicolas broke his leg. For this portfolio website, with all their services and practical information about treatments, we chose a premium theme, to which of course we added our own touch by customising here and there. We adapted the footer and branding regions to our needs and created new views and blocks. Furthermore we wrote all the site's content and took care of the art direction of a photoshoot for some of the images you can see in the website. Our relationship with Fysiotherapie Lindenheuvel began when in 2014, Nico chose them as his physiotherapists after he broke his femur in a bmx accident. So it only took a very painful leg fracture to get this new project and find some good professionals and friends. At Fysiotherapie Lindenheuvel you are in good hands.